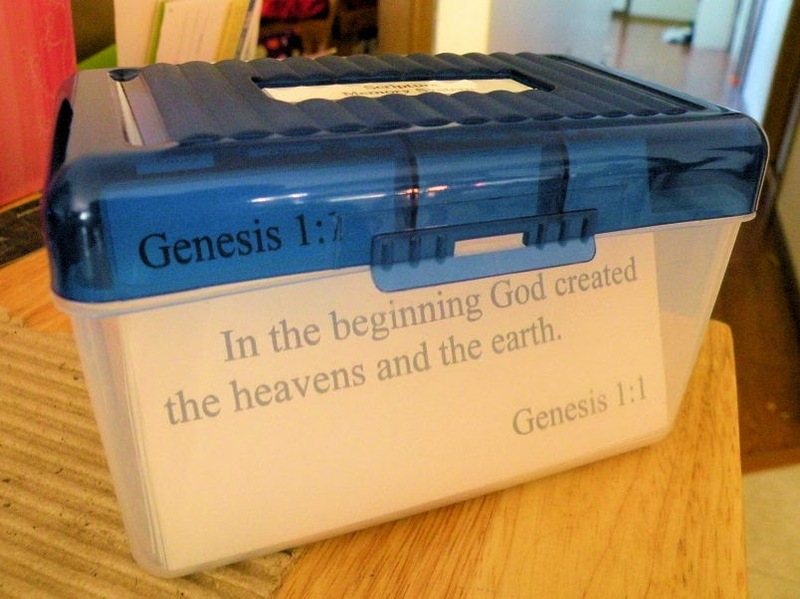 I mentioned in this post that we will be using the Scripture Memory System from Simply Charlotte Mason. I am not, however, using their suggested list for first grade. I’m sure their list is great, but I already had a few ideas about what I want Miss M to learn this year, so I came up with my own list. I formatted them the size of 3x5 index cards and printed them on cardstock. And now that I’ve done the work, you don’t have to! At least not if you use the same verses we are. If you find any mistakes or have any suggestions – like the “page” numbers; I didn’t think of that till after I had printed and cut mine apart! – let me know! The rest of our Bible curriculum this year will be reading through the Student Discovery Bible together. It’s not a full text Bible, but has Bible text in it and will be perfect for our needs this year. GREAT, GREAT GREAT! Thanks so much for doing this work. :) When did you find the time??! I don't know that I'll print this off and use it this year, but I have it bookmarked. I found that for some verses and definitely for passages we need more time than one week allows. Now, we only recite our verses once a day (usually three times at one sitting when I introduce a verse) so maybe that's why it takes us upwards of a month to learn a passage. I have been rather free-willy about choosing verses/passages, and just putting them in my three-ring binder behind whatever number is empty. (Most of them, since we just started this method a few months ago). I still need to make tabs for the odd/even days and for days of the week. Anyway, congratulations on finishing this project! And thanks again for doing the work. I did most of the work while laying beside Little Guy at naptime thanks to Hubby's Macbook. It was kind of an accident that I ended up with 52 verses. I don't really expect we'll get to all of them in a year's time, but I'd rather have too much than too little! And Miss M is prone to surprising me!